They are known simply as the Smollett siblings. There is Jazz, Jake, Jurnee and Jussie Smollett. They are the stars of some of the nation’s top-rated television shows such as Empire, Friday Night Lights, Underground, and the Food Network’s Smollett Eats. 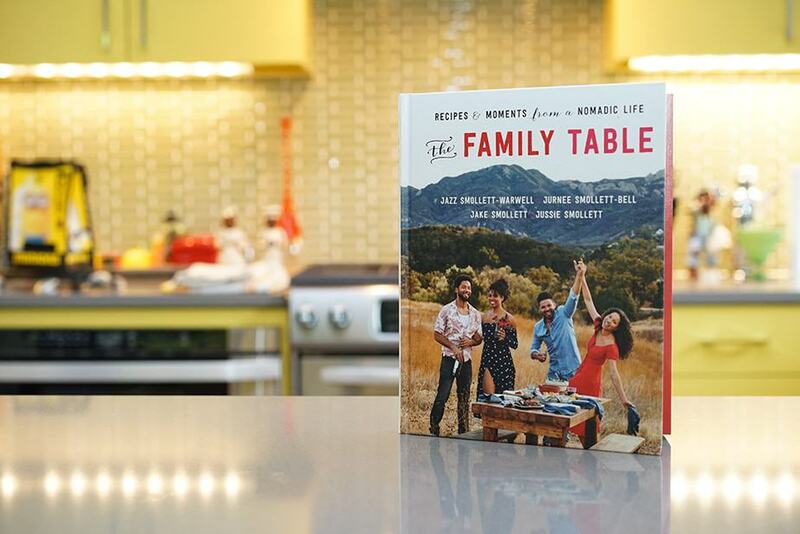 While there are actually six Smollett siblings, four have joined together to publish a cookbook called The Family Table: Recipes and Moments from a Nomadic Life. For the Smollett tribe, the dinner table has always been a place for good food and good conversation. 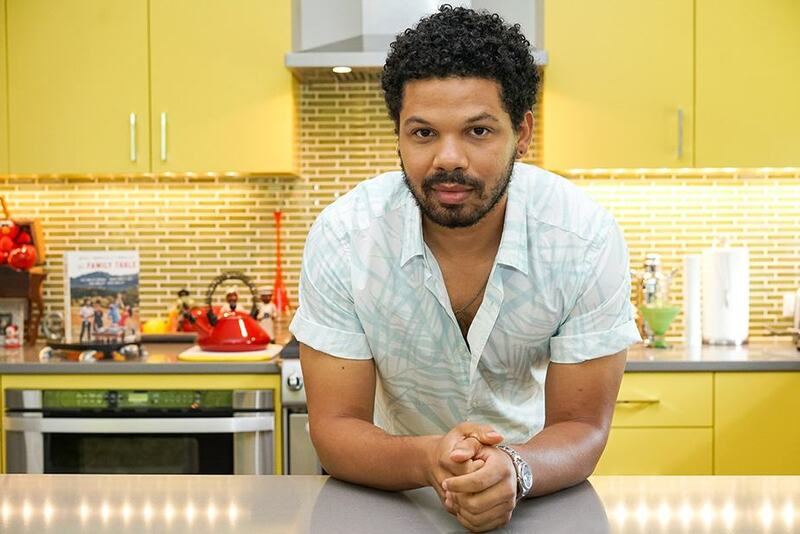 The cookbook includes more than 125 recipes including “Seventh Ward Gumbo,” “Dad’s Cuban Picadillo,” “Grilled Lobster Rolls,” and “Goat Cheese Pesto Pasta.” Mocha Man Style correspondent Lloyd Gite recently sat down with 28-year-old chef, Jake Smollett, to talk about food and family. Mocha Man Style: I want to start this interview by asking you about your mother Janet Smollett. Had it not been for her, none of this would have happened. Let’s talk about how important food was to her and how she passed that love for food down to her six children. Jake Smollett: My mom is a force. She’s from New Orleans but was born in Galveston, Texas. Food was a big part of her life growing up. Her mother, my grandmother, was a housekeeper and before she would leave for work, she would make that week of food and freeze it. So when my mother got home, she would take the food from the freezer, defrost it and have dinner with her siblings while her mother was still at work serving her bosses their dinner. That story, to me, really embodies my family. 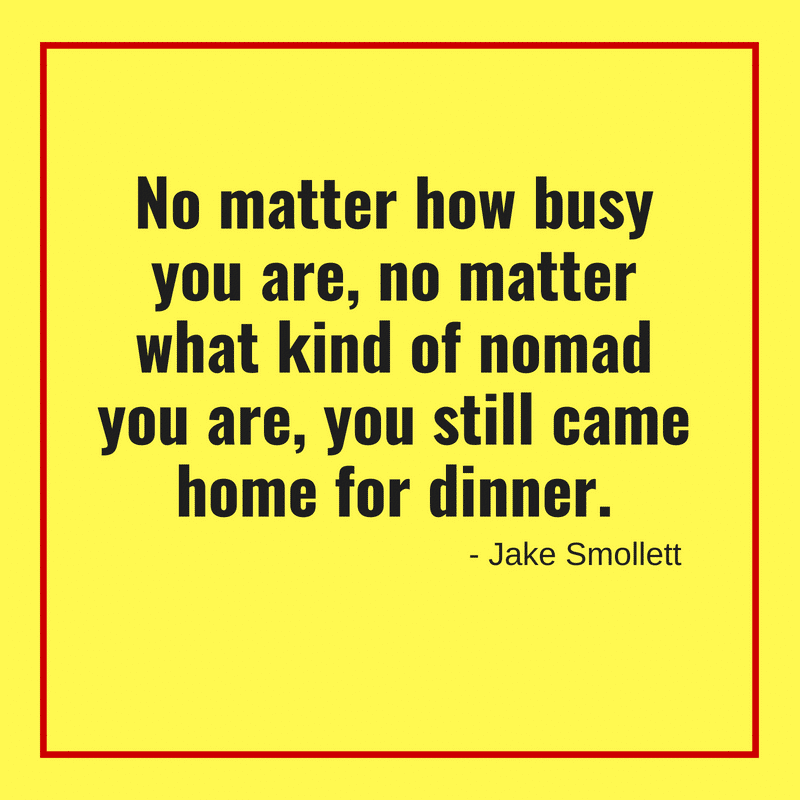 No matter how busy you are, no matter what kind of nomad you are (we grew up as nomads, traveling a lot) you still came home for dinner. You still have that time where you can decompress from your crazy day and have dinner with your siblings, your mom, and your dad. That family time, I think we’ve lost a bit. MMS: Not only did your mom cook, but she also taught her six kids how to cook as well. You started cooking at 6 or 7. Smollett: That was the running theme in my family. We were really young when we learned how to cook. My parents were hippies and they kind of built this tribe of a family because they came from a place where their family life was kind of disjointed. They created a little tribe of their own and it was like a farm family where you get to pick up the slack here or there whether it’s cleaning or chores or cooking. 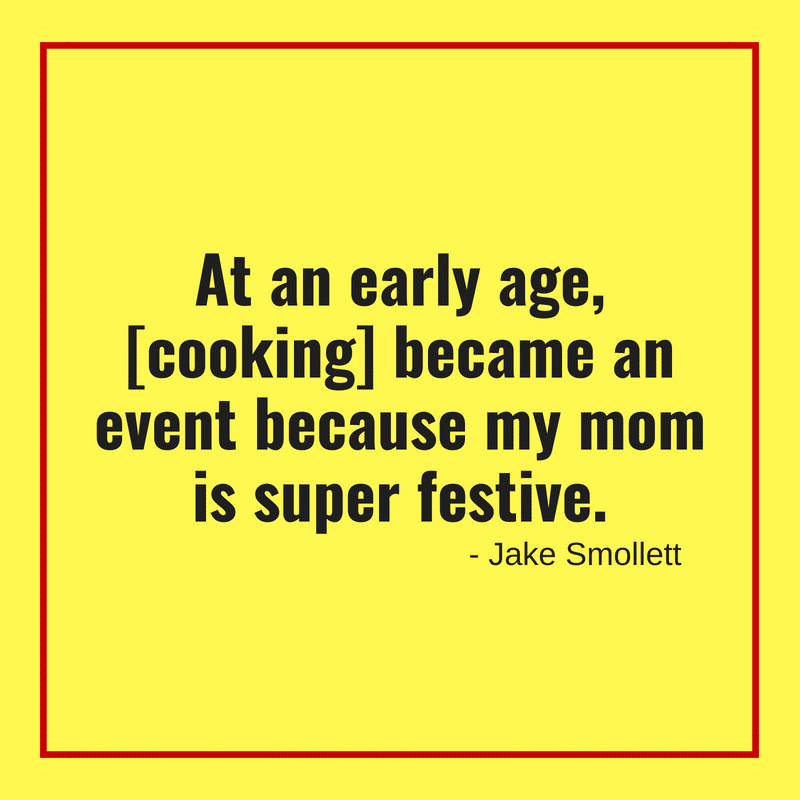 At an early age, [cooking] became an event because my mom is super festive. Naturally, I wanted to get in there with her. I was able to give back to my family and see the happiness on their faces when you make some crazy dish that’s impressive. MMS: Your mother was very gifted with her hands. She actually built all of your butcher block kitchen tables. Smollett: Yes, my mom built all of our dining tables by hand. Still to this day, my mom has built all of my siblings’ dining tables at their houses. I now build furniture with her. The cover table on the book was built by me and my mom. It’s the same with beds and other tables. We’ve never slept in a bed that wasn’t made by her. It started off where we didn’t have money, so she had a specific eye for what she wanted in her home. She couldn’t afford it so she made it. It turned out she made better pieces of furniture than the ones sold at expensive furniture stores. MMS: How did the idea for a cookbook come about? A lot of people think they can cook, but going from cooking in your kitchen to actually putting a cookbook together with three of your siblings is no easy feat. Smollett: We did a Food Network show called Smollett Eats. All six siblings were in that. That was one of the funniest projects. I love working with my siblings. From that [experience], we were like, let’s put all of our family recipes in one book for all the generations to come back to. It came to be 130 recipes of food we grew up eating. It was like going down memory lane while in the process of making the book. It was bringing tears to our eyes sometimes remembering this moment from this dish. It really was good food we ate. MMS: All of the recipes are from the four of your siblings and your mom Janet? Smollett: Most of them are re-mixed from my mom’s recipes. My mom doesn’t write recipes down. She’s a real cook. She gets in the kitchen and makes what she is inspired to make. I have never seen my mom google a recipe or buy a recipe book. MMS: When did you know you wanted to become a chef? Smollett: I was about fifteen when I decided I might want to do this as a career. I grew up acting and one day my girlfriend Grace came to me with the idea to fuse my passion for being in front of the camera with food. That was nine years ago. That’s when people were beginning to create their own content on social media. YouTube videos were popping up of young and mature people making different dishes. That’s when I started my cooking show. I was shooting in my Hollywood apartment kitchen. I was airing them on the televisions on the metro bus systems in L.A. in 2010. People were starting to write and ask about how they could get my recipes. That led to my blog. We took the show to The Food Network. They bought it and it went straight to series. MMS: The cookbook not only talks about food but also the whole concept about family. That’s important to you. You said we’ve really have lost that in terms of coming together to eat. Smollett: I think it’s super important to sit around the table and have dinner and make that effort. For me growing up, it was where I learned so much and that is what I talk about in the book. It was where you learned how to have your voice and get your point across. We talked about politics, social events, and entertainment. Everything happened around the dinner table. We even talk in the book about how the table our mom built saved us from the 1994 earthquake in Northridge. We lived in the San Fernando Valley. Houses were knocked down. We lived under that table. After the earthquake, we slept under that table. It was a nine-foot butcher block table. That table was safer than anything. MMS: How is it that so many of the siblings in one family have been so extremely successful? Is it because of your parents? Smollett: I definitely give all praise and grace to my mom. As far as success, mental health, everything that keeps you functioning as a human being. In our household, there was no option to fight each other. If we would fight my mom would say kiss your brother, make up. She really instilled in us that all you have is family and that is so important. I think you can go anywhere if you know that you have your tribe that you can trust. 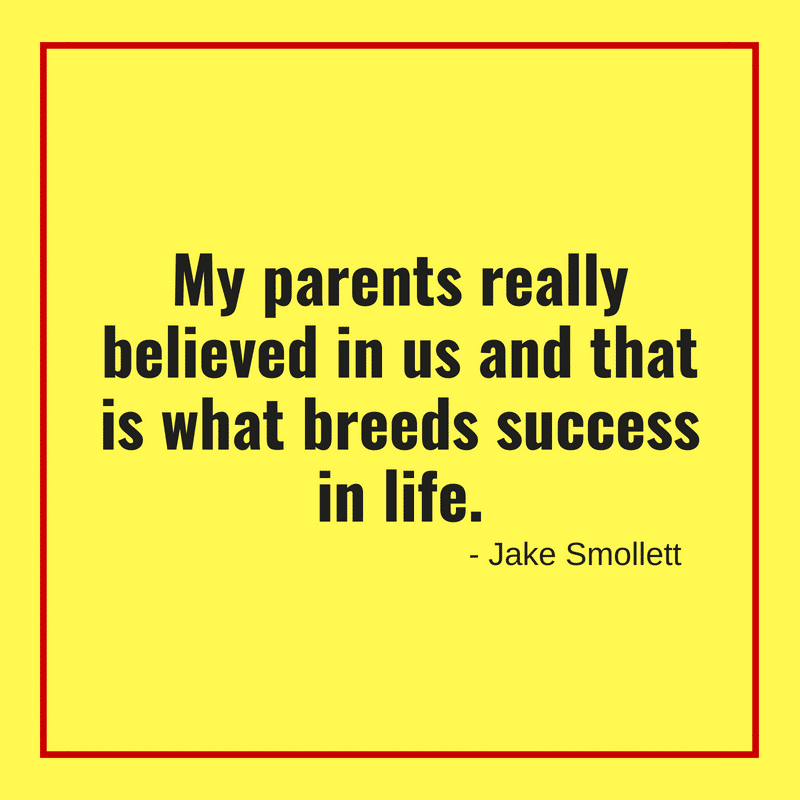 My parents really believed in us and that is what breeds success in life. MMS: What are some of your future plans? 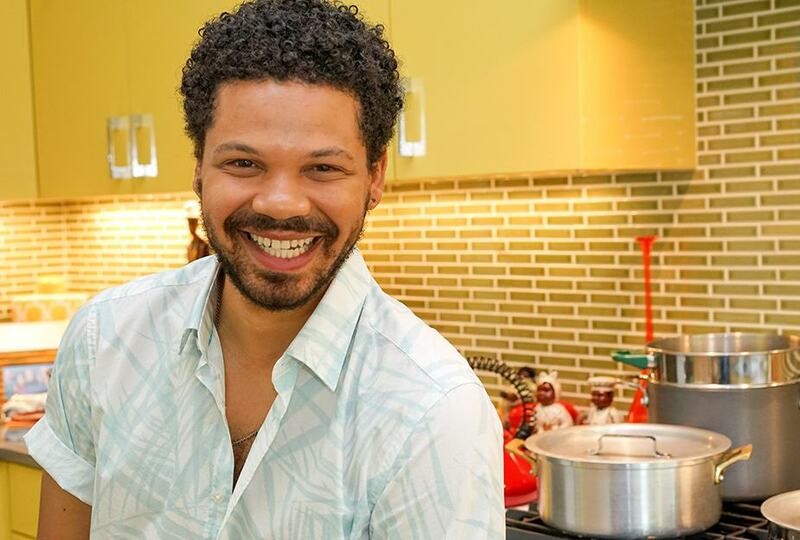 Smollett: I am a producer/writer/actor and a chef. I have a lot of interests that I plan on pursuing. I would like to have a restaurant. I ultimately want to have grocery stores. I want to bring fresh produce and fresh ingredients to inner-city communities. I’m putting out a fleet of mobile grocery stores next year in the L.A. area. They’ll basically start at farms and drive out to different communities and park. Hopefully, that will turn into brick and mortar grocery stores.